The Services are the various low-level system processes, that all programs and applications depend upon. Services run independently of who is logged in to a computer; most services start when the computer is started, not after login. 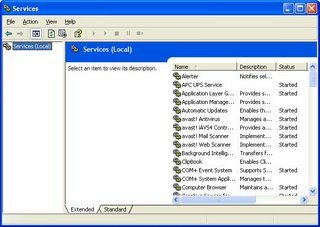 While there are many services provided with the Operating System, all services are not essential on any given computer, and may not be running at any given time. The essential services must be running, yet other services may have to be NOT running, on your computer. You must make the decision, based upon how your computer is to be used. You set each service in question appropriately. You can start, stop, change startup status, and / or query the status of a service interactively (using the Services wizard), or from a command window (using the Services Controller CLI). 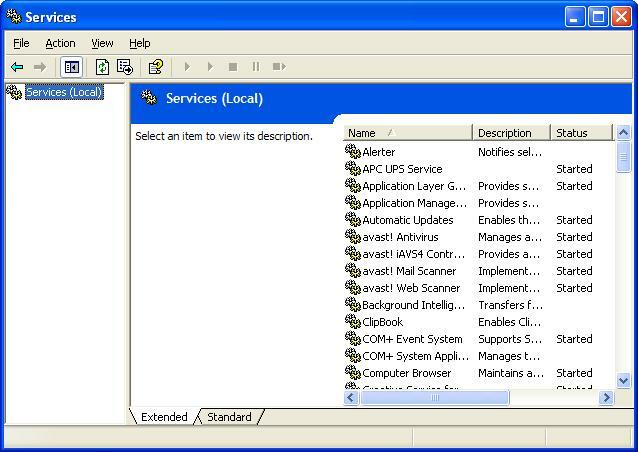 You can use Process Explorer, to find out many details about any service, since (as I wrote above) services are the low level processes running on your computer. 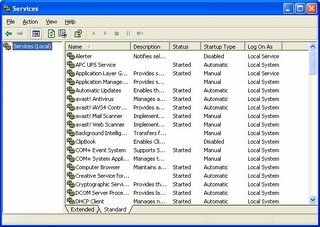 You start the Services wizard from Control Panel - Administrative Tools - Services. You may use the Services wizard presented in Standard, or Extended, mode. The choice is yours. Find the service that concerns you, and double click on it (or right click, and select "Properties"). The Service name and Display name are two descriptors which are used, alternately, in various places. You should be aware of both values. 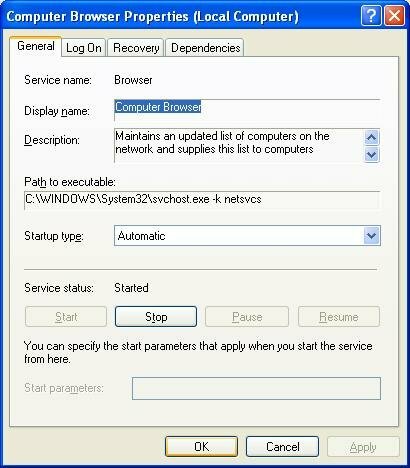 You may find Path to executable useful when you are researching an instance of "svchost.exe", using Process Explorer. Startup type determines when, or if, it will ever be started. Service status determines whether it is, or should be, running now. If the service in question is running, and you want it stopped, hit "Stop", and wait while it stops. If the service is not running, and you want it running, hit "Start" and wait. 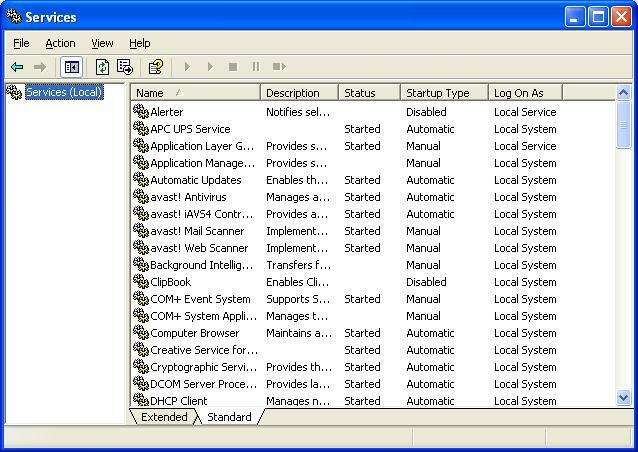 If you want the service in question to start the next time the system starts, set Startup type to "Automatic". If you want the service to be started the next time it is needed, set Startup type to "Manual". If you want the service to never start, set the Startup type to "Disabled". 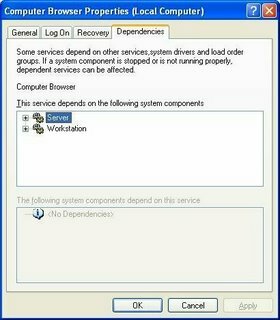 Dependencies shows other services that this service requires to be running, and other services that require this service to be running, before they themselves will start. If the service wouldn't start, or if its Startup Type wouldn't change, it may have a dependency. Look on the Dependencies tab, under "This service depends upon the following system components". Make sure that everything there is present on the computer, and all services listed are Started. Also check the Event Viewer logs for clues. The Services Controller CLI You can also use the Services Controller, aka "SC", from a command window. Observe the spaces in the examples below; they are essential.